Born Andrew Christopher Gower on the 2nd December 1978, in Nottingham, England, he is a video game developer, best known for being one of the founders of the Jagex Games Studio, with his brothers Ian and Paul Gower, and Constant Tedder. Apart from Jagex, he has also launched Fen Research. His career has been active since the late 1990s. Have you ever wondered how rich Andrew Gower is, as of mid- 2016? According to authoritative sources, it has been estimated that Andrew Gower`s net worth is as high as $680 million, an amount he has earned through his successful career in the IT business. Andrew grew up in his hometown, with his brothers. He went to the The Becket School, a catholic grammar school, and after matriculation he enrolled the Cambridge University. While in university, he teamed up with his brothers and Constant Tedder to found Jagex Games Studio, which developed raoidly, and two years later they released their first game, MMORPG RuneScape. Andrew was the main writer of the game, but also Ian and Paul helped considerably. Through the success of the game, and therefore the company as a whole, Andrew`s net worth increased by a large margin. 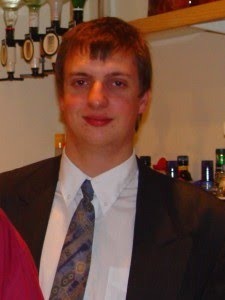 However, in 2010 after 11 years at Jagex, Andrew left the company, sold his shares, and started his own individual firm, Fen Research, which is a gaming development and consulting company. The company has gone public, but Andrew remains the majority shareholder, with over 90%, and he continues to be the CEO. He started developing a game on his own, a sci-fi strategy game named Solstrike; however, at the present time there are no details about its completion or release, but it is known that a statically-typed programming language has been designed Gower, to assist in the project’s development. Thanks to his successful career, Andrew has earned significant recognition, including being named as the 11th richest entrepreneur in the UK by the Daily Telegraph, among others. Regarding his personal life, little is known about Andrew, as he tends to keep his private life away from public eyes. However, he is quite active on social media platforms, including Facebook and Twitter, according to which accounts he has been programming since he was two years old.